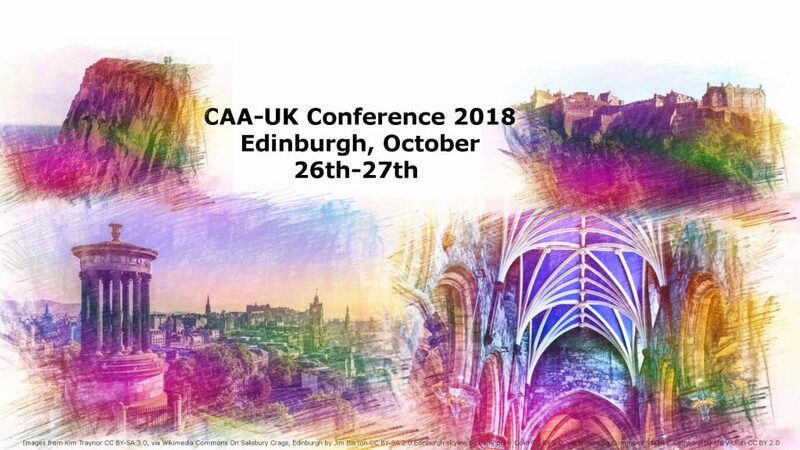 The organisers of CAA-UK 2018 would like to invite papers and posters for the 2018 meeting, to be held in Edinburgh, at Augustine, 41-43 George IV Bridge, EH1 1EL. On the 26th-27th October. The use of quantitative methods and computer applications in heritage is an ever-changing discipline, with new software becoming available and new processes being created every day. Please note that this list is not exhaustive and we will consider submissions on any relevant topics. The deadline for Paper submissions is Closed. Submission of Posters is still Open.